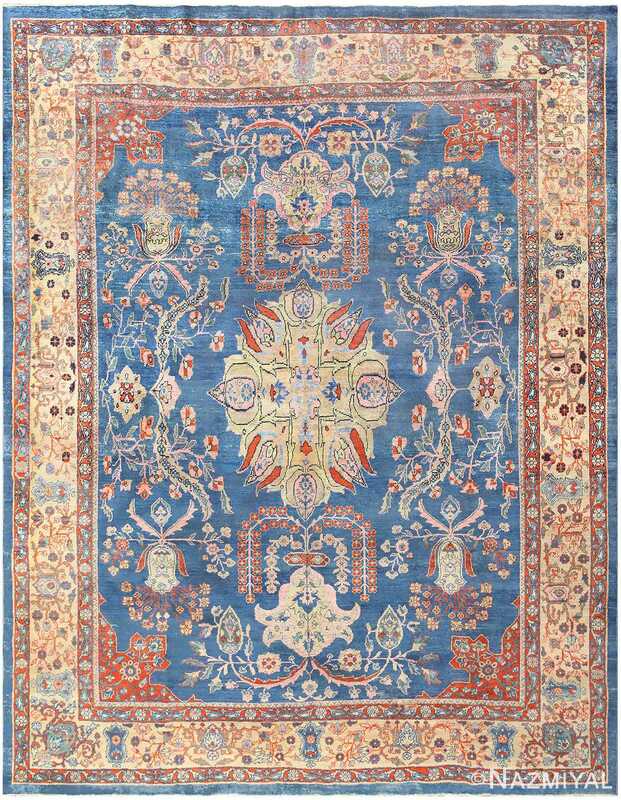 Antique Persian Sultanabad Rug, Country of Origin: Persia, Circa Date: 1900 – This beautiful Persian rug breaks from the traditional use of warm tones and instead chooses to define its presence with strong blues and vibrant creams. The powdery cobalt elements in this breathtaking antique rug create a nightscape along the rug’s surface, broken only by the rich ruby borders and soft tangerine hues. 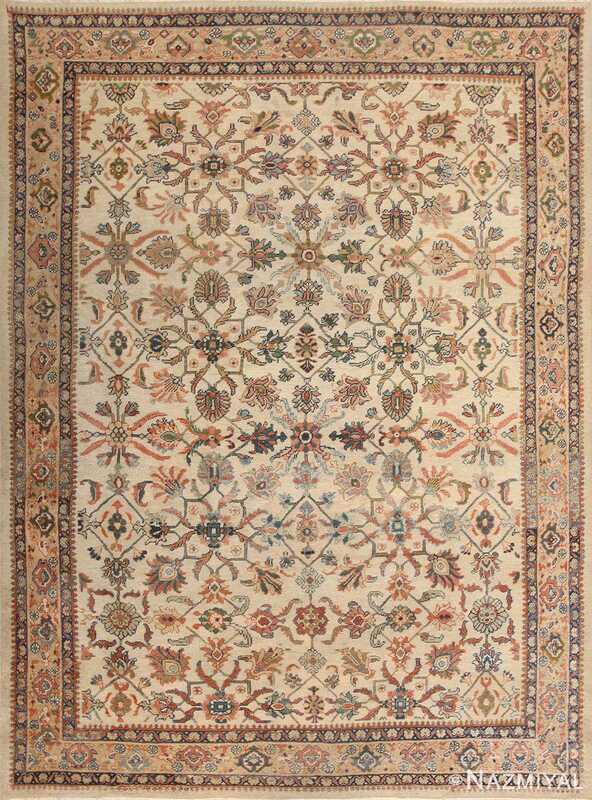 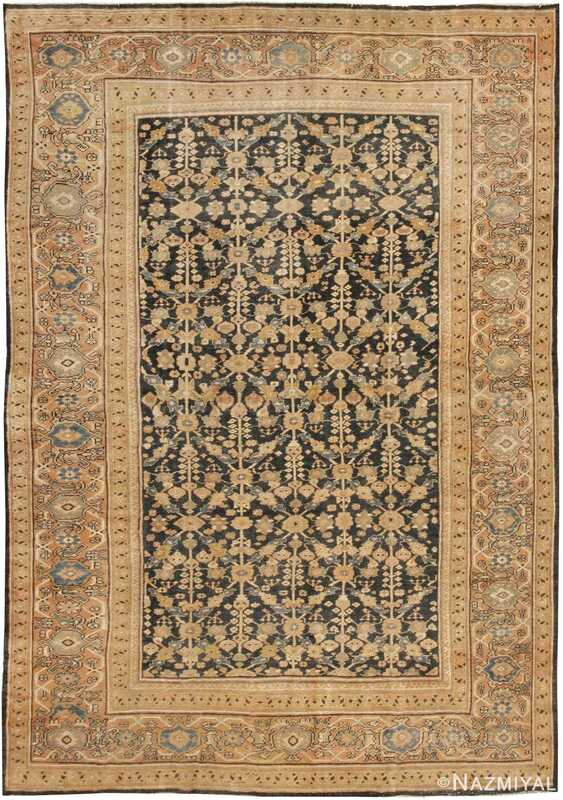 A complex series of layers, come together along the blue antique Persian Sultanabad rug borders, drawing one’s attention towards the central field area of this antique Persian Sultanabad rug, where a bright and symmetrical series of flowers elegantly dance against the blue background, as if carried by a wind. 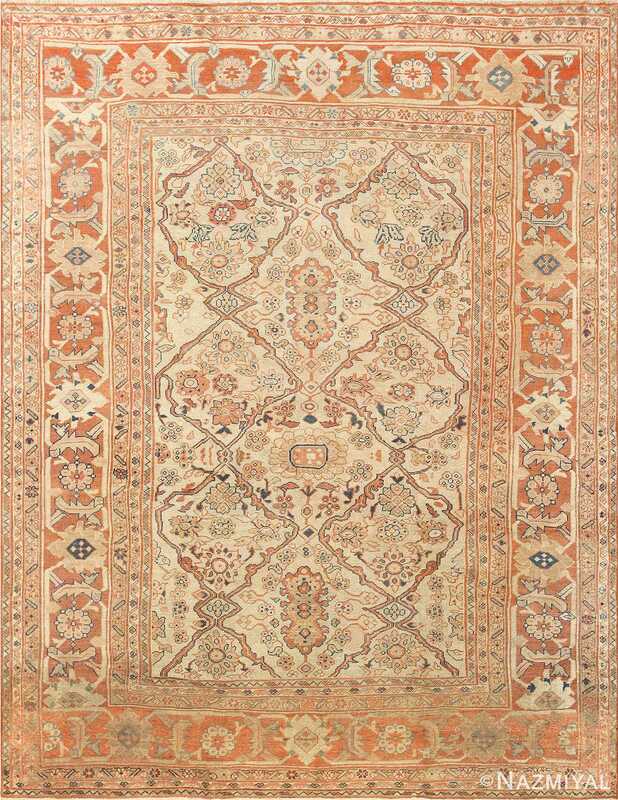 While the weave of this richly elegant antique carpet is Sultanabad, the design relates to the Fereghan carpets made in the same region Arak region of Persia.